The afternoon sun on Mars casts a nice shadow on the newly landed Curiosity Mars Rover. 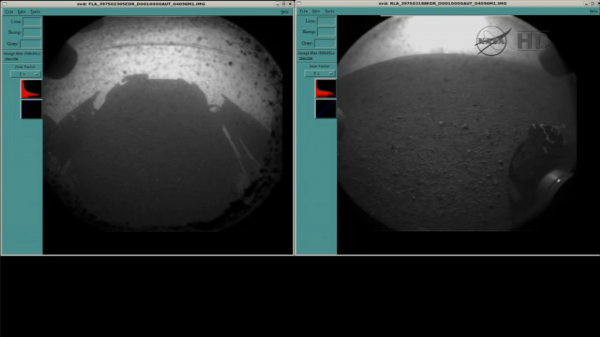 Here are the very first images from the Mars Curiosity Rover that just landed a short time ago. U.S. flag falls to ground at Olympics, was it on purpose?